I’ve been playing with making simple folded Danish stars (sometimes called a German or Froebel star) from fabric to decorate for the holidays. 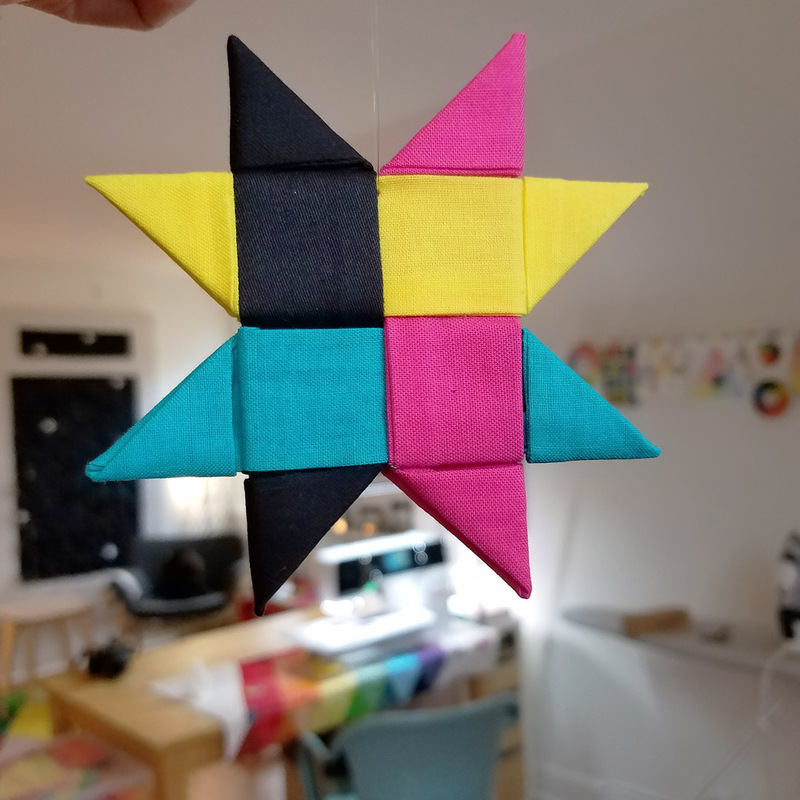 While there’s a few methods you can use to create these folded stars (some methods include an extra step to create more points in the middle), I found that using sewn strips with this method reduced some of the bulk and creates nice, crisp corners. There’s just one straight line seam in these stars, the rest is all folding! I’ll show you how to prepare the fabric strips for folding, then scroll down below for detailed video snippets to follow the folding instructions. First, cut 4 strips of fabric 2 1/2″ wide by 15″ – 16″ long. 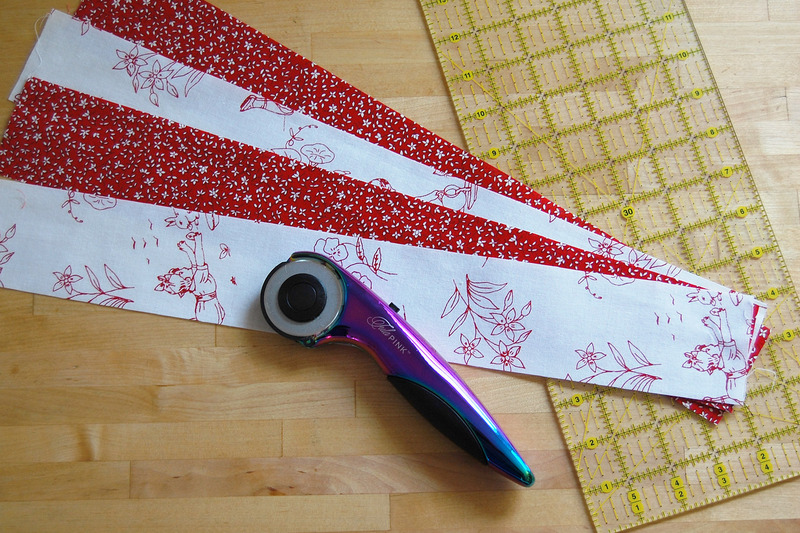 Press the fabric strips well with spray starch, let it dry, and press well. Pre-starching the strips will help the final star press nice and flat. 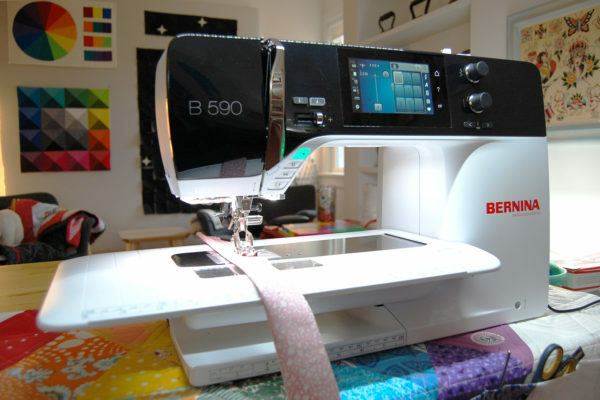 Get ready to sew a straight seam down the long end of each strip. 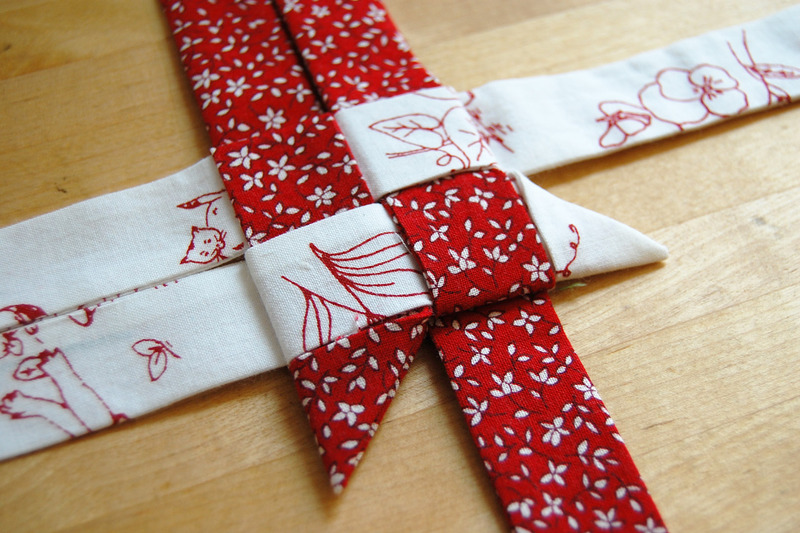 Fold the strip right side together long-ways, and stitch down the long end with a quarter-inch seam. Backstitch at the beginning and end of the strip. 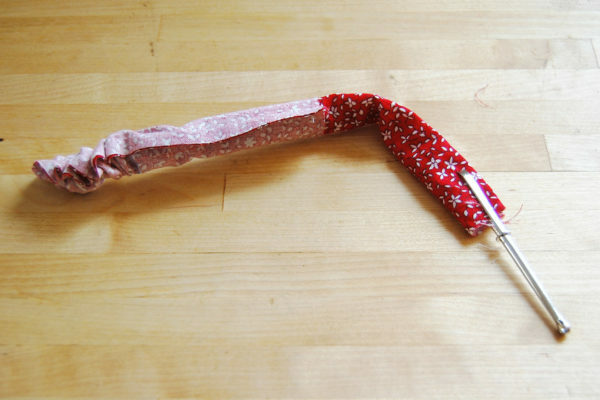 Use a bodkin or large safety pin to turn the strip right side out. 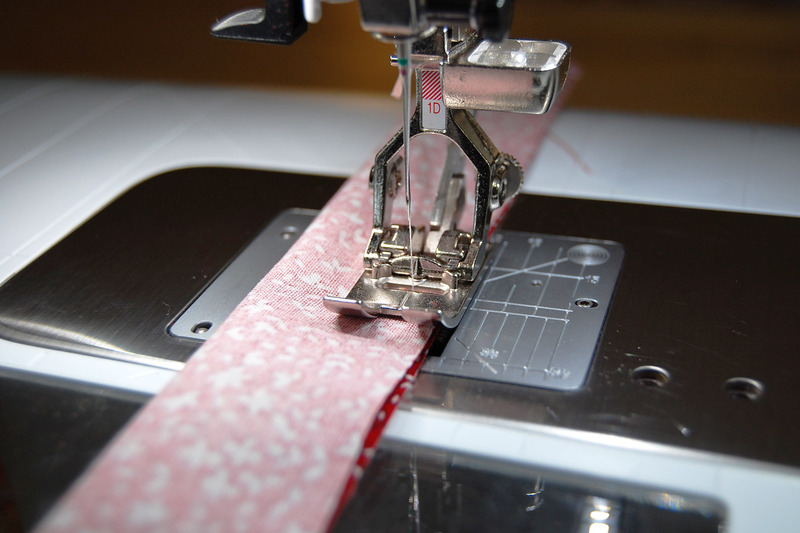 When the strip is turned right side out, press well with the seam to one side of the strip. 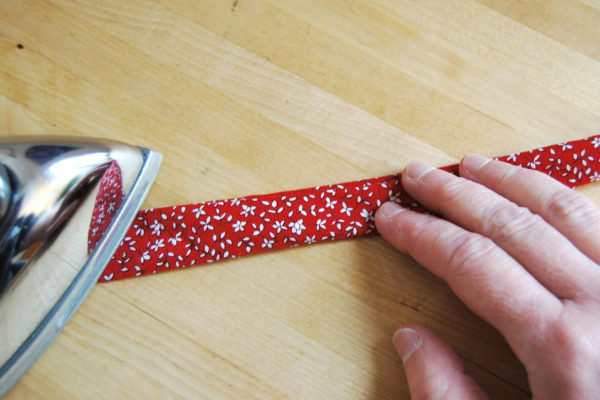 Roll the seam back and forth with your fingertips to make sure the seam is turned out all the way. When all the strips are pressed flat, fold each one in half long ways and press a crease in the strip. 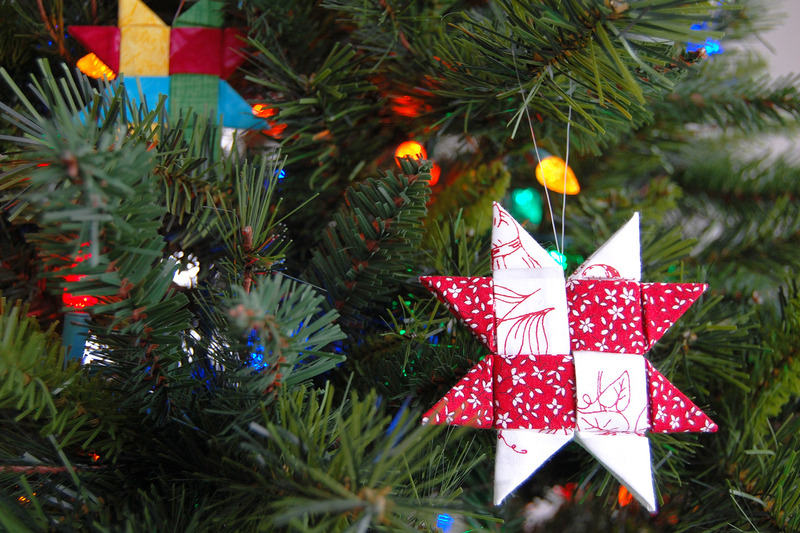 Now you’re ready to put the strips together and start folding the star! It’s easiest to see how this process works with the video snips below using four different colored strips. 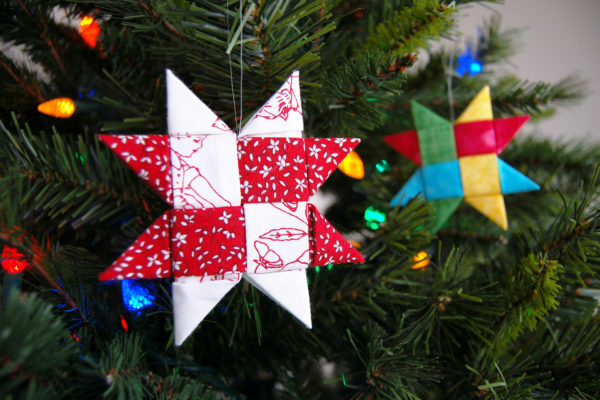 If you’ve ever made these stars with paper strips, it’s a similar process, first you arrange the strips to overlap. I use a large needle to add a hanger. You can use embroidery floss, fine ribbon, or heavy thread. I use a heavyweight monofilament cord for beading, it’s strong yet looks invisible when the starts are hung on the tree. Arrange the strips to form the first step of the star as in the video clip. Orient the fabric strip so that the seam is towards the middle of the star to insure a nice, crisp point on your stars when finished. 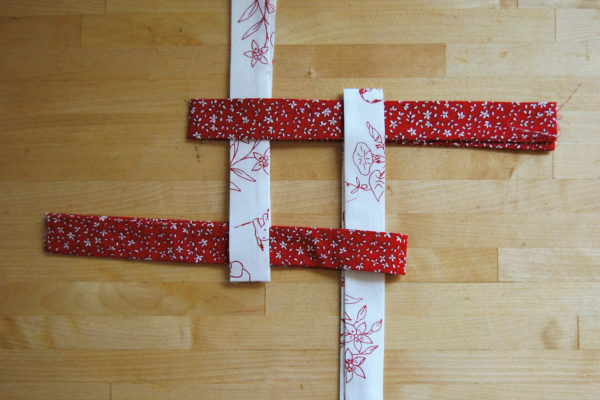 The strips begin to make a hash-tag shape, and when you pull them tight will form the middle of the star. Give the strips a slight tug to tighten up the middle, and press well before moving to the next step. 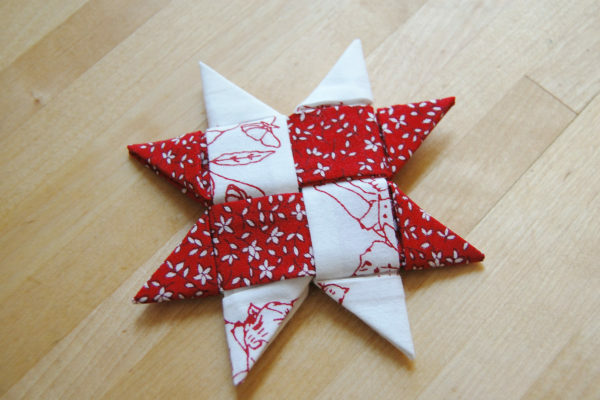 Begin by folding one top strip back over the middle of the star as illustrated in the video. 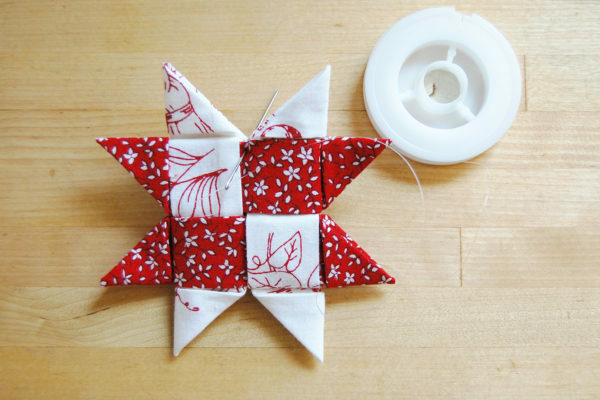 Next, moving in a counter-clockwise direction, fold the remaining three top pieces back over the middle of the star. When you have folded the last strip, weave it underneath the first folded strip using tweezers. 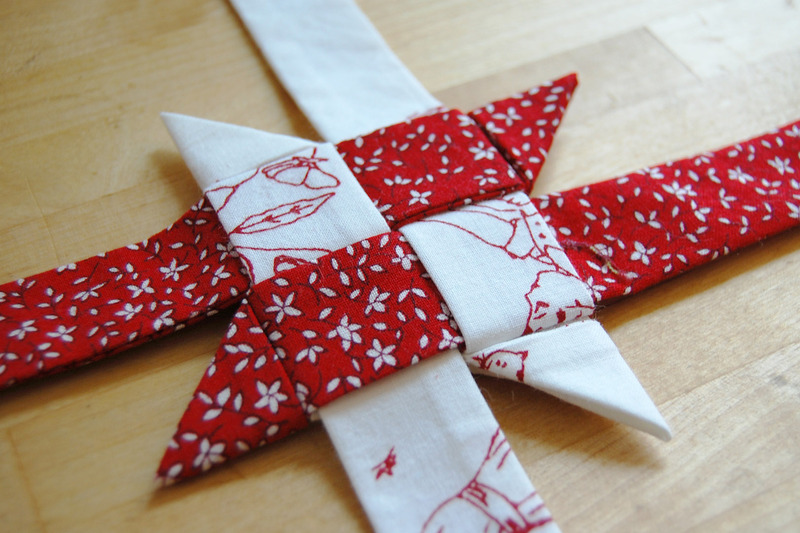 Give the strips a slight tug to tighten up the star, but don’t pull so hard that the fabric scrunches up. Press well before moving on to next step. To make the points of the stars, start with the bottom strip on the right side of the star. Fold as shown in the video clip above. It helps to press each point as you fold. Snip off the extra fabric from the strip before you tuck it in to the star; lay it across the strip it will be tucked underneath and cut about 1/4″ off the overlapping end. Be careful not to cut into the other strips in the star! Press the point well before moving on to making more points. Move the star around, and repeat step 4 to make the next star point. Keep rotating the star until you have finished the first 4 points. 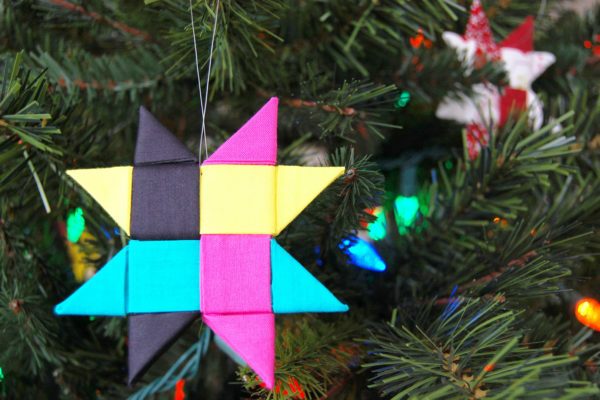 After making the first four points, flip the star over to the other side. Starting with the strip on the right side of the star, follow step 4 and 5 to complete the other points. Once you have tucked the very last point end in the star, you are finished! 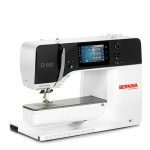 Previous Previous post: Handmade Gifts for Friends That Sew + Giveaway! Love it!!!!! And how easy! 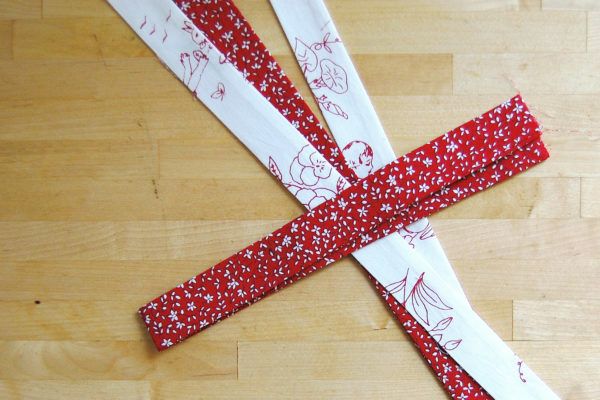 Will have to have sewn strips all set for our Christmas gatherings!!! My favorite homemade gift I’ve received is a drawn picture of an “I love you” heart. It was very touching and I still have it hanging on my refrigerator. I just finished making my second star . . . with my 5 1/2 year old grandson! (Christmas was a little late for us this year 😉 ) He sewed the strips together (!) and helped do the tweezers work. This was a great project! Thank you!